Welcome home to this beautifully upgraded 3 bedroom, 2.5 bathroom, pool home on a DOUBLE LOT in Naples Park. Only 1.4 miles to Delnor-Wiggins Beach State Park, 1.9 miles to Vanderbilt Beach and 1.5 miles to Mercato. Mature palm trees sway in the breeze in the front yard inviting you to the front screened-in porch. The interior features include the fully updated kitchen with granite countertops and Whirlpool stainless steel appliances, crown molding, incredibly bright and open living/dining areas, 2 master bedrooms with updated en-suite bathrooms, and tile and wood laminate flooring throughout. Exterior features include roof replaced in 2014, screened-in pool with 250 gal lp propane gas tank installed about 2 years ago for pool heater, fully fenced spacious back yard, mature fruit trees including peach, avocado, coconut, and others, and a storage shed for gardening/lawn tools. A wonderful home and large property--be sure to check out the 3D Virtual Tour and Drone Footage! This home is TurnKey, except for the white wicker dining room table and chairs. © 2019, The data relating to real estate for sale on this Website come in part from the Broker Reciprocity Program (BR Program) of M.L.S. 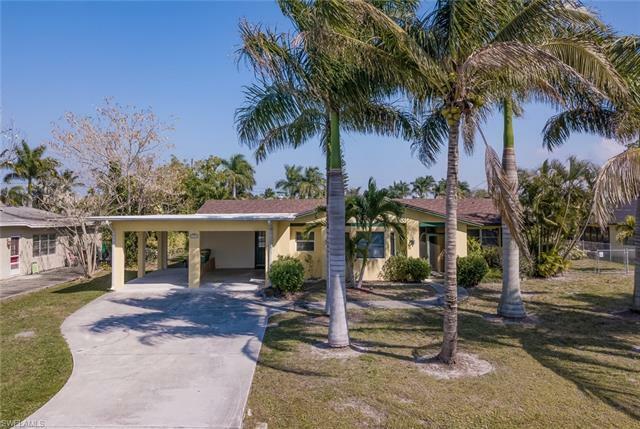 of Naples, Inc. Properties listed with brokerage firms other than MVP Realty Associates are marked with the BR Program Icon or the BR House Icon and detailed information about them includes the name of the Listing Brokers. The properties displayed may not be all the properties available through the BR Program. BR data on this website is provided by MVP Realty Associates on behalf of Raymond Cabral. The source of this real property information is the copyrighted and proprietary database compilation of the M.L.S. of Naples, Inc. Copyright 2006 M.L.S. of Naples, Inc. All rights reserved. The accuracy of this information is not warranted or guaranteed. This information should be independently verified if any person intends to engage in a transaction in reliance upon it. Data last updated 2019-04-24 17:07:43.